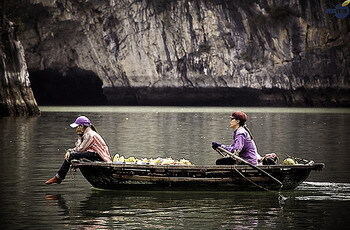 From Hanoi to Halong City is 170km, if your feeling rich and it is a Saturday you can go by helicopter from Gia Lam Airport for around $200, public bus for around $5, this takes 5 to 6 hours, or you can rent a car and driver for around $80 which takes around 3 1/2 hours. 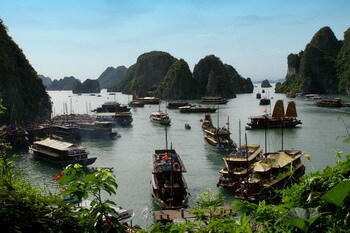 Halong has many hotels with rates for places like Halong Bay Hotel starting from $30 per night to 4 star hotels such as Halong Plaza Hotel at just over $80 per night. 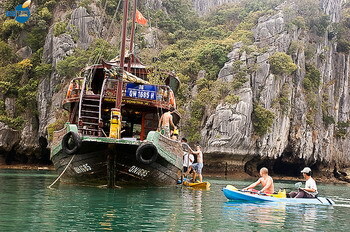 If you want to stay on Cat Ba Island there is the Sun and Sea Hotel at around $25 per night or the more luxurious Cat Ba Sunrise Resort starting from $125 per night although these maybe cheaper using a hotel booking company. 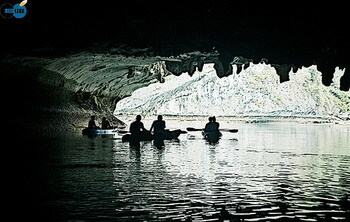 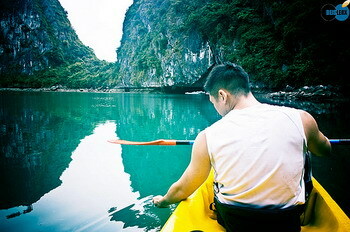 Live aboards can be arranged in either Hanoi or Halong, these range from 1 night to 7 days, many also have kayaks so you can explore the limestone caves and hidden lagoons, prices and quality of the boats vary from 4 star luxurious splendour to "Oh my God, do you really expect me to sleep on that." 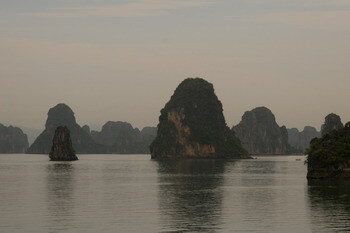 Halong Bay has around 120km of coastline, 1,969 islets of which most are limestone is the number claimed by the Vietnamese, although the actual figure is around 3,000, it is situated in North Eastern Vietnam so it doesn't get too hot.